No team is perfect. Not everyone can get along with everyone and just like every team, problems can occur. But to make a successful team it’s important to keep these problems to a minimum, help the team to bond and make the working environment a positive one to be in. So, “how do we do that?” I hear you ask…below we have come up with a few key qualities any team needs to adopt to be successful. This attribute is arguably the most important as without it, a team can’t work collaboratively or effectively. But with communication, a team can be unstoppable. This is because once a team gets sharing their ideas and opinions and taking onboard other’s comments, it enables the best work possible to be done as it allows each member of the team to have an input and also it enables the team to keep on track of progress by constantly talking to one another, keeping those wheels turning. No communication could lead to a team failure as you increase the risk of misunderstandings, missing deadlines and causing conflict. 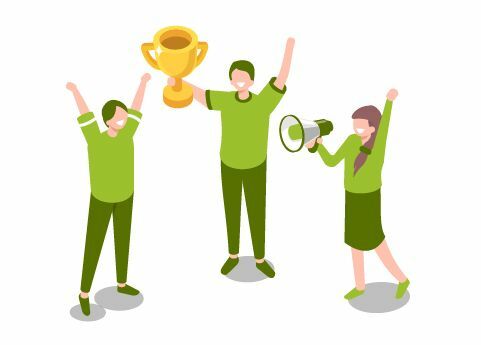 Setting goals is a really important part of a team’s success as it gives them something to aim for together, and it’s important that the whole team agree on the criteria. Once the goals have been set, a plan can then be put in place on how they’re going to achieve those goals as a team, and what each member needs to contribute. This can introduce a bit of healthy competition as they will have individual targets to hit in order to hit the team target, so they all have their own part to contribute individually but ultimately, they’re all aiming for the same thing. When distributing individual tasks out to each member, it’s important that the workload of each member is as equal to every other member as possible otherwise people will start to feel overworked or less important than other members. Therefore, when distributing these tasks, it’s important each member understands their role and responsibilities and what impact their role has on the team target, so they feel they are contributing and making a difference. Successful teams bring out the best in people, not the worst. Each member will have their own strengths and weaknesses, and you can use this to the team’s advantage. For example, if team member A was good at data input and team member B wasn’t, it would be more time effective for team member A to do the task instead of letting team member B struggle with a task that’s not suited to their skill set. People also tend to thrive at things they’re good at and it boosts their morale and keeps them motivated as they feel they’re doing a good job, but by giving team member B the task, it could have the adverse effect and lower their confidence and could make them feel like they haven’t contributed to the team as much as they wanted. Therefore, it’s really important to incorporate team member’s strengths when distributing tasks. Working together and being a team means supporting all members through the good and the bad. If another member is struggling with workload and you have a spare hand, help them out. This makes teams far more productive and also helps to build that important team bond. Support isn’t just from the team itself either. Support can be received from the company, so if someone is struggling or wants to develop further, the company may be able to offer resources to help and support improvement and development. No two people are the same, and it’s this uniqueness that you need in your team. 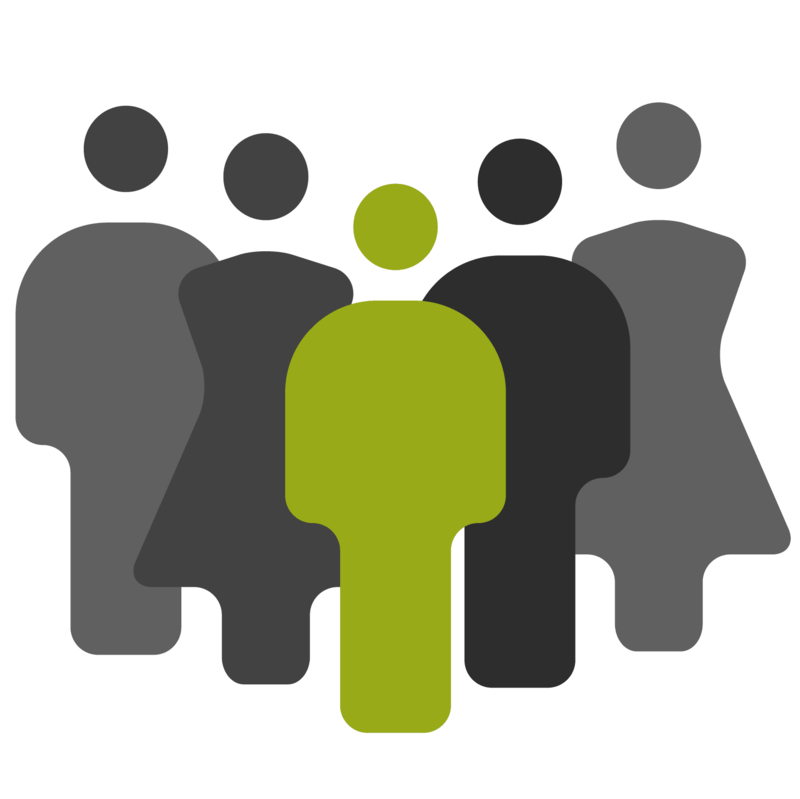 The more people you have from varied backgrounds, cultures, ages, characteristics etc. can only enhance your team as these factors influence the way people think, their approaches, their knowledge, their skill set etc. The more diverse your team is, the more likely it is to come up with new and different ideas and also to cover all the skill sets required to reach that team target. Every team needs guidance, and this usually comes from a leader who has earned the team’s trust and respect. To be the team leader you must be responsible for managing them appropriately, motivating the team, keeping up team morale, supporting each member, ensure things are ticking along as they should be and step in when they aren’t. It’s also important the leader keeps the team updated so they don’t feel below the leader or less important because each member of a team is just as important as every other member. This skill can be hard to master, but essential for the smooth running of any task. It’s often up to the leader to set the example to the team. The leader should organise the plan of action and ensure everyone is on track, and each member should then organise and manage their own workload. If you don’t organise yourself and your workload, you run the risk of missing things, overrunning on deadlines and ultimately not hitting your personal or team target, which could then have a knock-on effect on your confidence and team spirit. This is an important part of any team, as having fun with your work colleagues can lead to a much more positive working relationship. This will also reduce conflict in the office and will make the office a much more enjoyable place to work. If you don’t have fun with your colleagues and it’s all just work, then this can lead to team members being demotivated and deflated which can reduce productivity. So, bonding with the team and having fun has benefits for everyone! Writing a CV for a potential employer is one of those dreaded tasks we all put off until the last minute. But it’s something that needs perfecting if you want to give yourself the best chance at getting through to the next stage of the process. So, we have come together and created a short and simple guide on some hints and tips including what to include and what not to include in your CV. The first thing anyone sees when looking at any piece of paper with writing on, is the way it’s been presented and laid out. The same thing applies to your CV. You need to make sure all your CV is formatted the same way and follows a theme throughout. So, it’s important that if you have put the first heading in bold, then every heading needs to be in bold. If you have put one subheading in italics, then every subheading needs to be in italics etc. This will ensure the document flows well and is presented in a way that is simple and easy to understand. This way the reader will see the important things on the first page such as your personal details, profile, qualifications and current company. Try to keep your CV to 2 sides of A4 paper and don’t be afraid to use bullet points. Your CV is there to provide a snapshot of your experiences, not your life story so remember – keep it brief. Choosing a font may not seem like an important factor when it comes to writing your CV, but you want to come across professional so using a font that’s too animated or hard to read, won’t be perceived well by a potential employer. Another tip is to keep your text between sizes 10-12 because you don’t want HUGE text to make your CV look bigger than it is, and you don’t want small text so you can try to get in every single detail. You just want something in between that’s legible. At the same time, don’t just throw these words out there. You must give examples in your previous employment or other areas of your CV to evidence this, otherwise you will lose credibility. If you have used a word that doesn’t really apply to you, then take it out of your CV and think of another one that does apply to you. There’s no point lying in your CV because you will get caught out as many interviewers will walk you through your CV and ask questions based upon this and may even ask for further evidence to prove this, so if you lie it will become clear and you will risk losing the job by lying or over-exaggerating the truth. Once you have finished your CV, run a quick spell and grammar check and then ask someone else to proofread it. After looking at the same document for hours or even a document we have written ourselves, we are far less likely to spot a mistake as your brain reads it as you want it to be read, so it’s always a good idea to have a second person with a fresh pair of eyes to read through it to double check for any errors. This is also a good way to tell if your CV is interesting or not by asking this person for honest feedback. At the end of the day, the potential employer reading your CV is also human so, make sure your CV grabs the attention of the reader! “JLR is more to do with an incompetent government not supporting manufacturing and the mishandling of diesel in the rush to go electric. We already have supply issues with our electricity supply in this country. We have the first real nuclear power station being built for over 25 years (which the Chinese are paying for), we buy our gas from Russia and our coal from China, added to the fact we have stopped supporting renewables with subsidies and blew tidal power out the water. So how are we charging all these electric cars? Never mind the infrastructure to do it and what will this do to electric prices. In addition, we are reducing the subsidies for electric cars and free charging is stopping. It’s that time of year again! When everyone comes back from their Christmas break, struggling to find the motivation for the year ahead. January is also a time for people to reconsider their options, and think if they really want the job they’re currently in. Maybe there’s no forecast of a promotion, you feel undervalued or you’re just bored of the same old thing, day in day out and fancy a change. Moving jobs can be daunting, but you’re not the only person in this position. 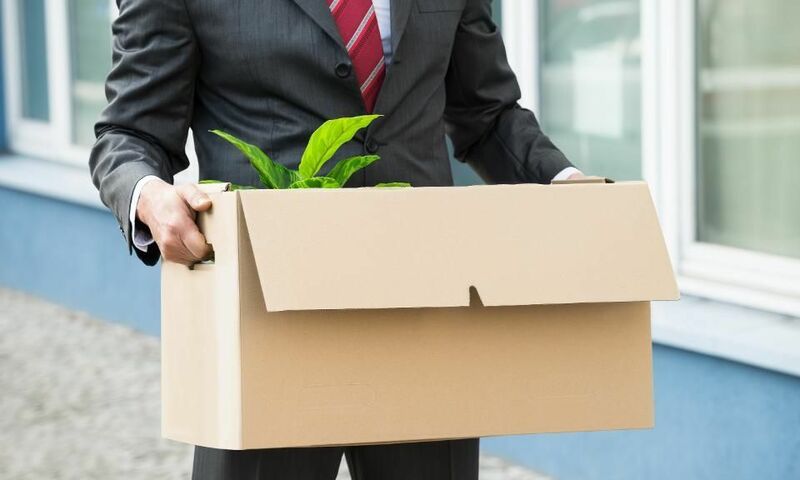 Surveys suggest that there are many people out there that are dissatisfied in their current position, but in the modern world we now live in, employers are finding it even harder to keep hold of their employees. As we are all aware, Brexit is due to take place in March this year. It has already been causing concerns for many people and businesses across many sectors, but the fact of the matter is, we don’t know what impact it will really have on the UK or on us an individuals, so you must seize every opportunity that comes your way because you can’t pause your career over something you can’t control. Our Managing Director, Stephen Edwards, says “whilst the current political and economical climate is uncertain, it is clear that there are companies out there wanting to hire and especially when we face a skills shortage in areas such as construction. Where there is a skills gap, people can take advantage of this to further their career, or even move into a different industry entirely”. After speaking with some of our industry leading clients, we discovered that many of them haven’t changed their recruitment plan because of Brexit and that they are still wanting to hire talented individuals. 2. 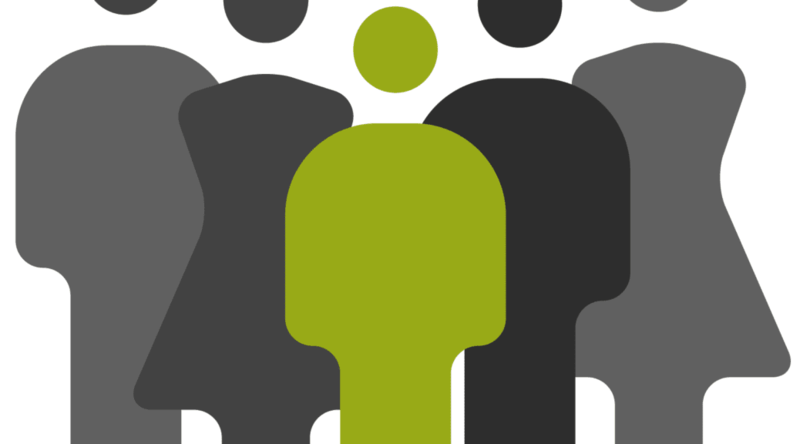 The Skills Shortage – Use it to your advantage! Now is a great time to make your way into a skilled job, that you may have never even considered before. Although the skills shortage may be causing some concern, it is a great chance for jobseekers to start their new career or to further their current career. According to the government website, some of the areas that are facing a skills shortage include; power & energy, building services, health professionals, IT and environmental. This creates immense opportunity for the people within these industries or for people that want to get into these industries. Many companies within these industries are currently hiring and are also offering apprenticeships to help you get on the career ladder, so now’s your chance! Once you have found a job suited to you, before you do anything, you must ensure your CV is up to date. This also includes any websites you use to build your professional profile, such as LinkedIn. 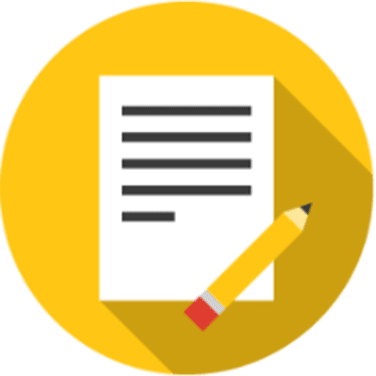 Updating your CV is a crucial part of the job process because if your CV is out of date or contains spelling and grammatical errors, you risk the chance of having your CV thrown out at first glance by employers, even if you’re perfect for the role. So, make sure you don’t take the risk and revise your CV and LinkedIn. We also advise you have someone else to proofread afterwards as two pairs of eyes are better than one! Another thing to consider are the keywords and skills you write on your CV or LinkedIn as this is what employers and even recruiters look for when matching someone to a role. It’s important that if you have a niche skill set, make it known to whoever is viewing your profile to make you stand out from the crowd. It is also worth noting that when you do begin to apply for jobs or get approached by a recruiter, it’s sensible to check through your personal social media accounts as many employers now use social media as a routine check on potential employees to find out more information, so make sure your posts and pictures are appropriate and not too wild! Don’t panic! There are plenty of jobs out there, but it’s important to choose the right one for you. It’s a waste of your own time and the employers time applying for jobs you know aren’t really what you want or aren’t right for you. It’s a much better use of your time if you spend time thinking about what it is you actually want from a job, and then using that information to find the right one. You don’t want to end up in a job where in 6 months’ time you find yourself in this same position, looking for another job because it wasn’t right for you. Our rule at Spirit Executive is if it doesn’t meet 80% of what you want from a job, then it’s not worth making the move. By spending the time at the beginning of the process thinking about what you want, it will save you time later on in the process and is more likely to land you with the job you want. Once you have started applying and you have received interview offers, be honest with your current employer. Inform them of the situation. This way they will respect you and your decision, and it can also ensure when you leave things aren’t left on a bad note, which keeps the door open for you in the future. By telling your employer you won’t have to call in sick and worry about lying to them about where you really are. This way you can put all your effort and concentration into the interview. If you’re still struggling to get the time off work, let your potential employer know as many employers will understand and will make the time for talented individuals, so out of hours interviews may be an option. The other advantage of informing your current employer is if you decide that actually you don’t want to move, your current employer may offer you a better package to stay, so you always have options. But always keep in mind the reasons that made you want to explore your options in the first place, as money doesn’t solve everything. As obvious as it sounds, come prepared to your interview. Do your research on the company, its people and have some questions at the ready. Not only will this demonstrate your interest and impress the interviewers, it will allow you to find out if the role is right for you and take the next step. If you need help with your next move, please get in touch with us on 01905 28590 or email admin@spiritexecutive.com to see if we can help. It shouldn’t be tough to hold on to great employees, yet it seems that is the case. Most of the mistakes that companies make, can easily be avoided. When you do make mistakes, your best employees are always the first to go, because they have the most options. If you can’t keep your best employees engaged, you can’t keep your best employees. Although this should be common sense, it just isn’t common enough. Companies need to have rules—that’s a given—but they don’t have to be foolish and lazy attempts at creating order. As a company grows, the difficulty in maintaining standards often gets harder too. People will cross the line more and it will happen more frequently, and it’s tempting to put in place a new rule that applies to everyone because of it. But that’s where most companies blow it. Establishing a new rule would be a passive and morale-killing way to address the problem. The vast majority of the time, the problem needs to be handled one-on-one by the employee’s manager. When companies create ridiculous and demoralising rules to halt the outlandish behaviour of a few individuals, it’s a management problem. There’s no sense in alienating your entire workforce because you don’t know how to manage performance. It makes a bad situation that much worse. You’re punishing everyone instead of dealing with the select few employee’s causing the problem. The six-month rule. 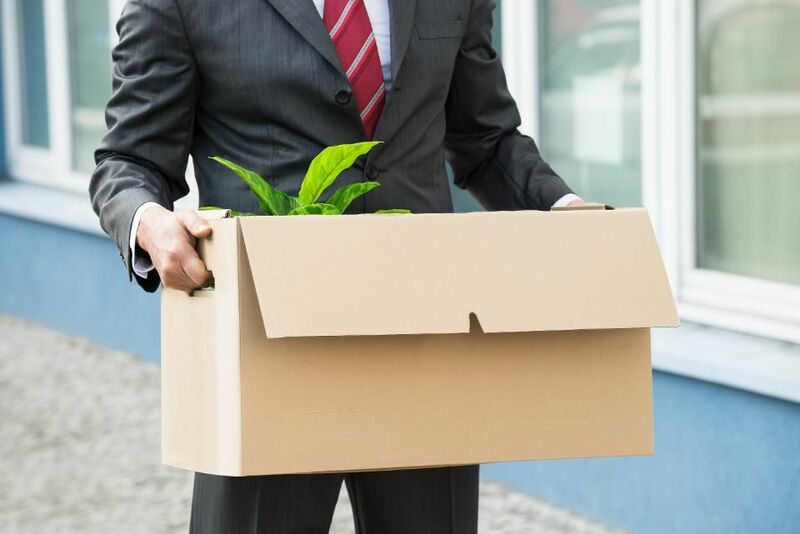 Many companies won’t let you transfer or get promoted until you’ve held a position for six months. This rule harms the company and the employee by keeping people in roles that they’re not suited for or too advanced for. Companies might have gotten away with this rule when our parents were entering the workforce, but these days good people are more likely to jump ship, rather than wait around for some arbitrary rule to kick in. An employee’s manager should have the freedom to decide when an employee is ready for a promotion or would perform better in a different role. Ridiculous requirements for attendance, leave, and time off. People are paid for the work they do, not the specific hours they sit at their desks. When you ding salaried employees for showing up five minutes late even though they routinely stay late and put in time on the weekend, you give out a message that policies take precedence over performance. It suggests distrust, and you should never employ someone that you don’t trust. When companies are unnecessarily strict in requiring documentation for bereavement and medical leave, it leaves a sour taste in the mouths of employees who deserve better. After all, if you have employees who will fake a death to miss a day at work, what does that say about your company? Shutting down self-expression. Many organisations control what people can have at their desks. A life-size poster of a shirtless celebrity? I get it; that’s a problem. But employers dictate how many photographs people can display, whether or not they can use a water bottle, and how many items they’re allowed to place on their desks at work. Once again, it’s the old “If I could just hire robots I wouldn’t have this problem” approach. The same issue goes for dress codes. They work well in private high schools, but they’re unnecessary at work. Hire professionals and they’ll dress professionally. When someone crosses the line, their manager needs to have the skill to address the issue directly with that person. Otherwise, you’re making everyone wish they worked somewhere else because management is too inept to handle touchy subjects effectively. Restricting internet use. There are certain sites that no one should be visiting at work, and I’m not talking about Facebook. But once you block these websites, it’s a difficult and arbitrary process deciding where to draw the line. Most companies, however, draw it in the wrong place. People should be able to kill time on the Internet during breaks. When companies unnecessarily restrict people’s internet activity, it does more than demoralise those that can’t check Facebook; it limits people’s ability to do their jobs. Many companies restrict internet activity so heavily that it makes it difficult for people to do online research. The most obvious example? Checking the Facebook profile of someone you just interviewed. Bell curves and forced rankings of performance. Some individual talents follow a natural bell-shaped curve, but job performance does not. When you force employees to fit into a pre-determined ranking system, you do three things: 1) incorrectly evaluate people’s performance, 2) make everyone feel like a number, and 3) create insecurity and dissatisfaction when performing employees fear that they’ll be fired due to the forced system you have put in place. This is yet another example of a lazy policy that avoids the hard and necessary work of evaluating each individual objectively, based on his or her merits. Banning mobile phones. If I ban mobile phones in the office, no one will waste time texting and talking to family and friends, right? Yeah, right… Organisations need to do the difficult work of hiring people who are trustworthy and who won’t take advantage of things. They also need to train managers to deal effectively with employees who underperform and/or violate expectations (such as spending too much time on their phones). This is also hard work, but it’s worth it. The easy alternative (banning phones all together) demoralises good employees who need to check their phones periodically due to pressing family or health issues or as an appropriate break from work. Stealing employees’ frequent-flyer miles. If there’s one thing that road-weary traveling employees earn, it’s their frequent flyer miles. When employers don’t let people keep their miles for personal use, it’s a greedy move that fuels resentment with every flight. Work travel is a major sacrifice of time, energy, and sanity. Taking employees’ miles sends the message that you don’t appreciate their sacrifice and that you’ll hold on to every last dollar at their expense. Draconian e-mail policies. This is a newer one that’s already on a downwards slippery slope. Some companies are getting so restrictive with e-mail use that employees must select from a list of pre-approved topics before the e-mail software will allow them to send a message. Again, it’s about trust. If you don’t trust your people to use e-mail properly, why did you hire them in the first place? In trying to rein in the bad guys, you make everyone miserable every time they send an e-mail. And guess what? The bad guys are the ones who will find ways to get around any system you put in place. So, there’s no point bringing down the rest of your employees. Pathetic attempts at political correctness. Maintaining high standards for how people treat each other is a wonderful thing as we live in a world that’s rife with animosity and discrimination. Still employers have to know where to draw the line. Going on a witch-hunt because someone has said “Bless you” to another employee that sneezed creates an environment of paranoia and stifled self-expression, without improving how people treat each other. It can also stop creativity in a workplace as people may stop sharing their thoughts and ideas amongst each other in case of getting in trouble for something they’ve said. If companies can rethink their policies and remove or alter those that are unnecessary or demoralising, we’ll all have a more enjoyable and productive time at work. Are you a new person in a new job? Trying to become one of the collective? Believe it’s worth trying as good relationships between colleagues are very important. 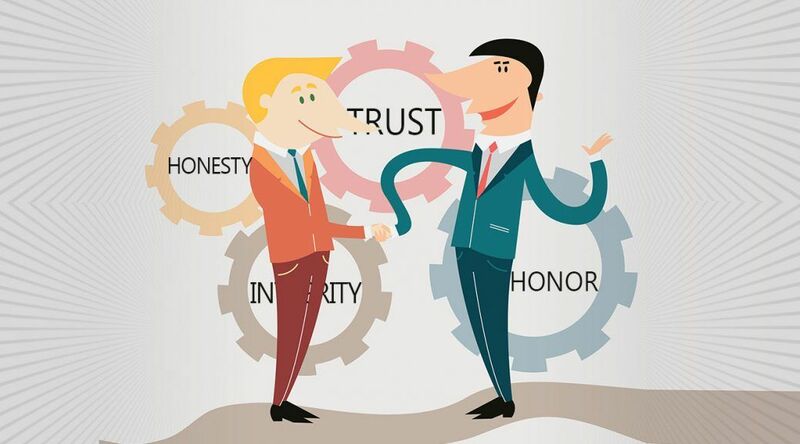 Here’s a list of some of the best practices and behaviours for building trust. Be honest: As obvious as it sounds, try to be as honest as you can. Answer questions honestly and be a truth-teller. So the main practice here is to owning up your mistakes. Realistic risk: You should try to stay focused and calm in different situations. It is a good point for you to help people when a problem arises. Also, you should learn the risk before you’re taking the job to be successful. Share information: Show that you have no hidden agenda. If the information is not confidential, don’t be afraid to share it to build trust. This way people get to know you quicker by sharing information, it’s a great way to build relationships with your colleagues. Be congruent: Remember the simple fact that actions speak louder than words. In other words, practice what you preach. If you want your colleagues to trust you, try to make your actions align with your words. Treat people with respect: Be respectful of others and show your genuine interest in others. It is very important being interested in everyone you work with and to do this sincerely. So, you can become a friend for everyone. Follow through: If you make a promise, you must always try to deliver it. For example, if you promised to call (to write a letter, to make a visit) to somebody, you should do it. If you word is your bond, the people will trust you. Provide clear, consistent direction: Try to use these three words people to describe your person: dependable, constant and resolute. These features inspire trust. Never change your way suddenly, people need to know they can rely on you and your decisions, and not think you’re going to change your mind last minute. Communicate: Talk to people. Trust is based on effective communication. Your communication should always be kind and sincere. And remember that building trust is a hard and long process, it doesn’t happen overnight. You can’t change the behaviour of other people, but you can change yours. You should assess and improve your own habits. It is the process of building bridges before you even need them.